Lil Brute circulation heaters efficiently heat quench tanks without burning your oil. Quench temperature is critical to attaining good, repeatable metallurgical results. Lil Brute Circulation Heaters offer an economical approach to tank heating while assuring fast heat-up and accurate temperature maintenance. Lil Brute Circulation Heaters combine aggressive circulation with low watt density heating elements to gently but predictably heat your tank without burning your oil. Heaters may be equipped with timers as well as a temperature controller, allowing an operator to set a day and a time when heaters are to be energized to assure the proper quench temperature when a furnace is brought back on-line. Once the set-point temperature is attained the heater can be used to trickle in heat as needed, to maintain the quench tank at a given temperature between quenches. Any Lil Brute Circulation Heater can be designed to heat and maintain a quench tank as high as 650°F. 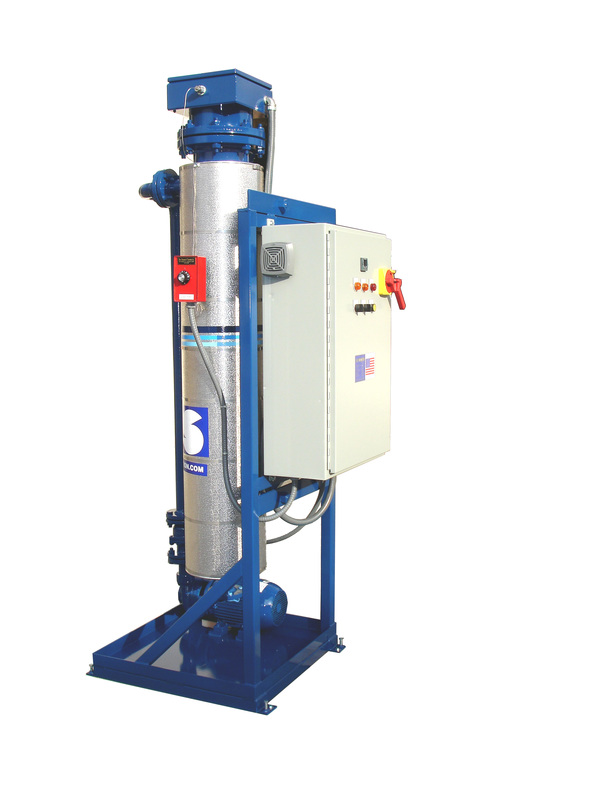 Heater packages come complete with pump, heater, control panel and interconnecting piping, wiring and valves to minimize field installation requirements.